Lotto, Lorenzo. Portrait of a Woman Inspired by Lucretia. 1530-2. National Gallery, London. 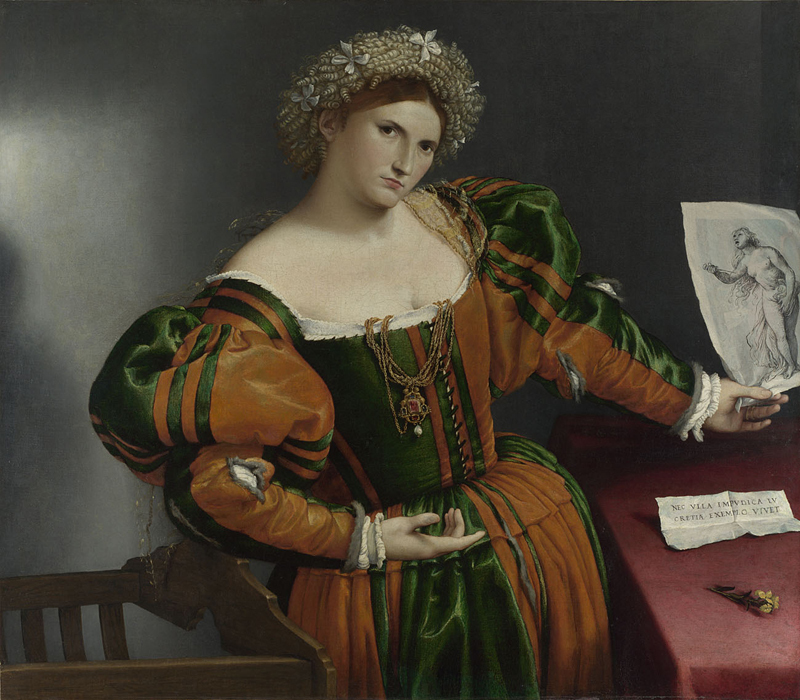 Accessed February 16, 2018. http://www.nationalgallery.org.uk/paintings/lorenzo-lotto-portrait-of-a-woman-inspired-by-lucretia. Image acquired from The National Gallery in London. Used under CC BY-NC-ND 4.0 license. No changes made.